This Bernese Mountain Dog nicknamed Splash sold and went to a new family. 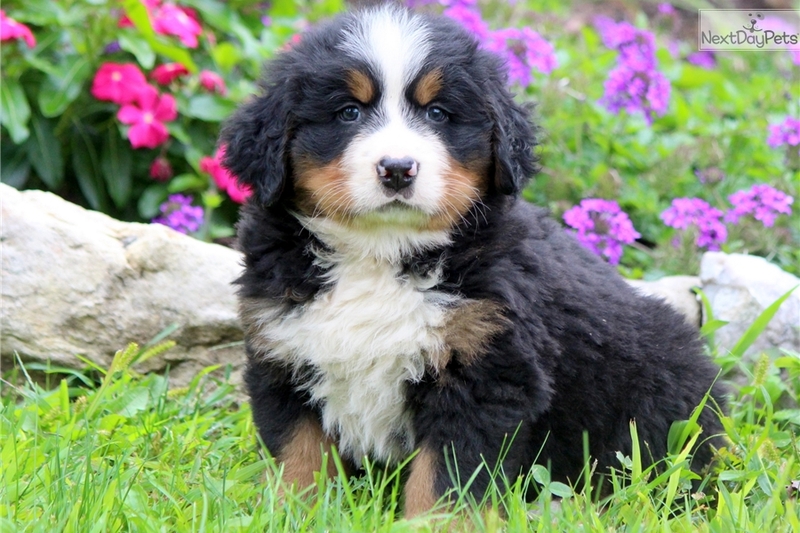 This Bernese Mountain Dog puppy is a real handsome boy with such a sweet personality. He will make an amazing addition to your family as he is loyal & loving. This puppy is AKC registered, vet checked, vaccinated, wormed and comes with a 1 year genetic health guarantee. His parents are Tracy & Shane. Don't miss out on this pup - call today! Please contact us for more information or check out our website at www.keystonepuppies.com for pictures of all of the available puppies for sale.